This event has expired. This page is for archive purposes only. The British Library's Conference Centre, also known as the Knowledge Centre. The venue has its own entrance, and can be reached via the main piazza. Consultant Child and Adolescent Psychiatrist and Director of Research at the Tavistock Clinic, London. Honorary Reader in the Research Department of Clinical, Educational and Health Psychology, University College London. Joint Editor in Chief of Clinical Child Psychology and Psychiatry. Consultant Medical Psychotherapist and SAP Jungian Analyst, currently leads the Devon Personality Disorder Service and is developing a neuroscientific psychotherapeutic Relational Affective Model, for teams working with people with severe Personality Disorder. She is the Chair of the Medical Psychotherapy Faculty at the RCPsych and the Talking Therapies Task Force. Research Lead at the Portman Clinic and Senior Researcher on the TADS study, Tavistock Clinic. President of the Society for Psychotherapy Research (SPR) UK. She teaches research methods and supervises dissertations of DProf Child Psychotherapy trainees at the Tavistock and MSc in the theory of psychoanalysis and DClin Psy students at UCL. Head of Research and Ethics, Tavistock Relationships - programme leader of the Professional Doctorate in Couple Psychotherapy. A Jungian analyst and consultant couple psychoanalytic psychotherapist. David Hewison is a consultant couple psychoanalytic psychotherapist at Tavistock Relationships where he is Head of Research & Ethics and runs a Professional Doctorate. He is a Jungian Training Analyst of the Society of Analytical Psychology. He developed the evidence-based integrated behavioural model of couple therapy for depression used in IAPT and was lead author of the largest clinic-based outcomes study of couple therapy yet published. A member of the recent NICE Depression Guideline Committee, he publishes and lectures extensively on analytic themes related to creativity, imagination and loss. Geraldine Ryan is a psychoanalytic psychotherapist. She is Clinical Director of icap (Immigrant Counselling and Psychotherapy), an organisation committed to promoting wider access to psychotherapy. She has a background in therapeutic communities and has worked in a variety of settings including NHS, The Womens Therapy Centre and private practice. Primary Care Service Lead, Consultant Primary Care Psychotherapist & Social Worker. Tim leads two multi-disciplinary teams; the Primary Care Psychotherapy Consultation Service (Hackney) and Team Around the Practice (Camden) with a focus on high quality, brief, Psychoanalytically oriented work for local people seen in GP surgeries or “ Free Clinics”. Tim trained in Social Work at North London Polytechnic and Psychoanalytic Psychotherapy (M1) at the Tavistock. Andrew Balfour qualified in clinical psychology at University College London and went on to train and work as an adult psychoanalytic psychotherapist at the Tavistock & Portman NHS Trust. He also trained as a couple psychotherapist at Tavistock Relationships (formerly Tavistock Centre for Couple Relationships) where for 10 years he was Clinical Director before becoming Chief Executive. He has published widely and with Mary Morgan and Christopher Vincent, he co-edited How Couple Relationships Shape our World: Clinical Practice, Research and Policy Perspectives (Karnac, 2012). His latest book, co-edited with Christopher Clulow and Kate Thompson, Engaging Couples: New Directions in Therapeutic Work with Families is published by Routledge in November 2018. Psychoanalytic Psychotherapist, Clinical and Forensic Psychologist and Author, Oxford. Anna Motz is an Adult Psychoanalytic Psychotherapist and a Consultant Clinical and Forensic Psychologist for Oxford Health in the Family Assessment and Safeguarding Service. She is a Consultant for the Institute of Mental Health, an MBT Supervisor for the Anna Freud Centre and author of several books on female violence. Dr Julia Blazdell, Service User Consultant, Trainer and Facilitator. 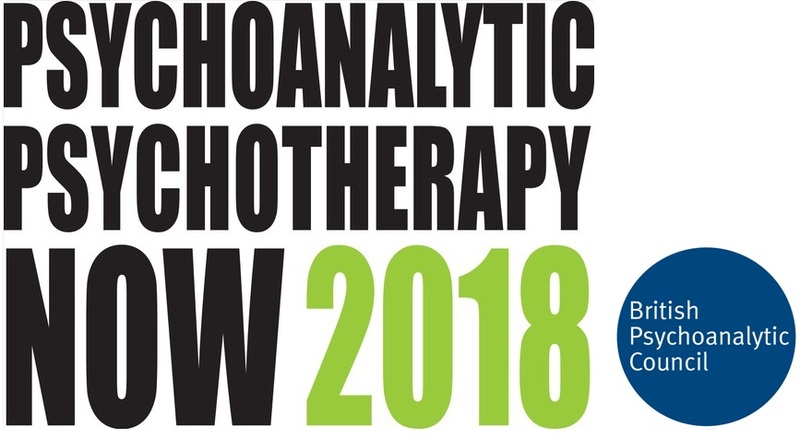 Jonathan Shedler will discuss the seven core features of contemporary psychoanalytic therapy and the scientific evidence for its effectiveness. Based on the internationally-acclaimed article, The Efficacy of Psychodynamic Psychotherapy. 2.15 "Watch the wall my darling while the Gentlemen go by" - legitimacy and value in psychoanalytic psychotherapy research. David Hewison addresses research in analytic work, exploring our ambivalent attitude towards it and the personal and political context that shapes this. 15:45 What is your vision for how we can develop contemporary practice though using research and the evidence base, supporting the profession to better respond to the needs of contemporary society?